X-It is a Soko-Ban style game by Psygnosis, the famous Amiga publisher. 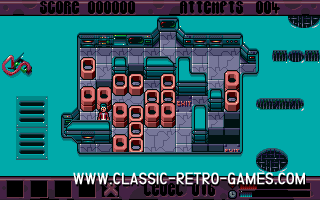 This remake of the 1994 retro game offers the same strategy puzzle gameplay and even the graphics are looking much like the original. Ofcourse this means more retro feelling and nostalgic fun. This remake by Puzzlehouse is free for download for Windows PC's. So download and enjoy this puzzle classic.